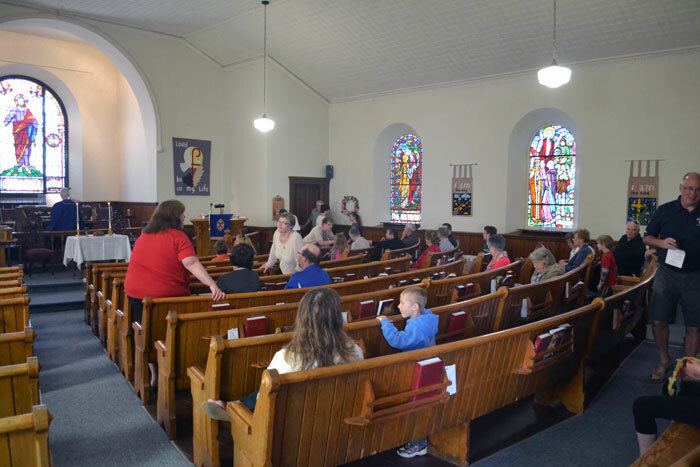 At a combined worship service at Munster United Church on 24 May 2015, the Youth Group had invited a special guest – Tysen Lefebfre. Tysen has taken up the challenge to raise raise a million dollars in five years for the Make a Wish Foundation. It’s called “Tysen’s Mission to a Million”. In the first year Tysen, and with help from friends who joined in with his challenge, raised $213,000. 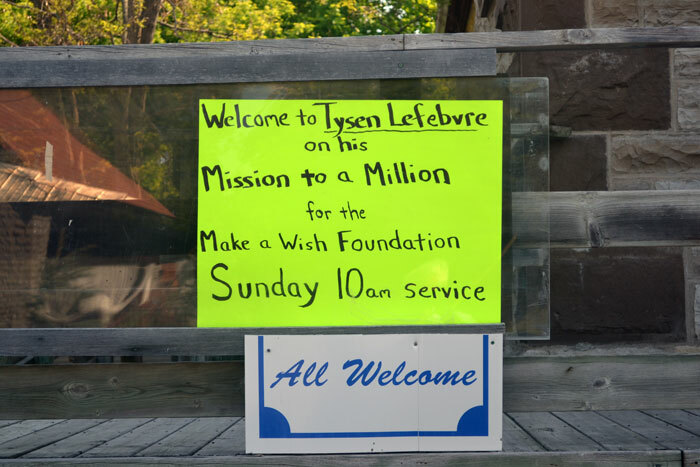 In the fall last year the Youth Group of the Pastoral Charge decided as a project for the year, they would raise funds in support of Tysen’s cause. They undertook several activities over the last eight months and they achieved greatness. The final step in their process was to turn the funds over to Tysen and that happened on Sunday, 24 May. 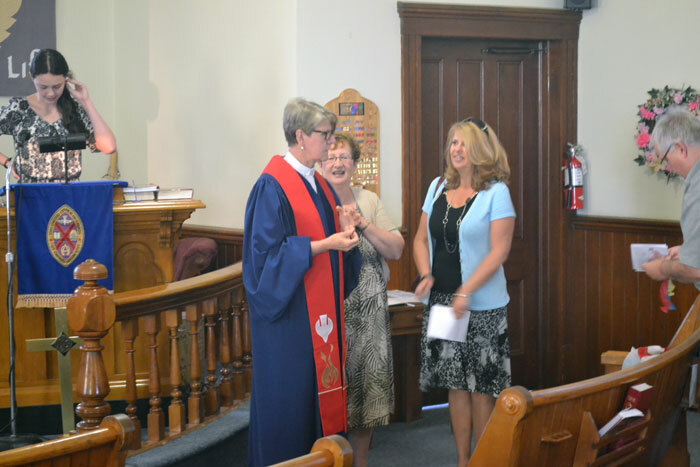 Sunday School superintendant Liz Hale had arranged with the Lefebvre family to join us in our service of worship. 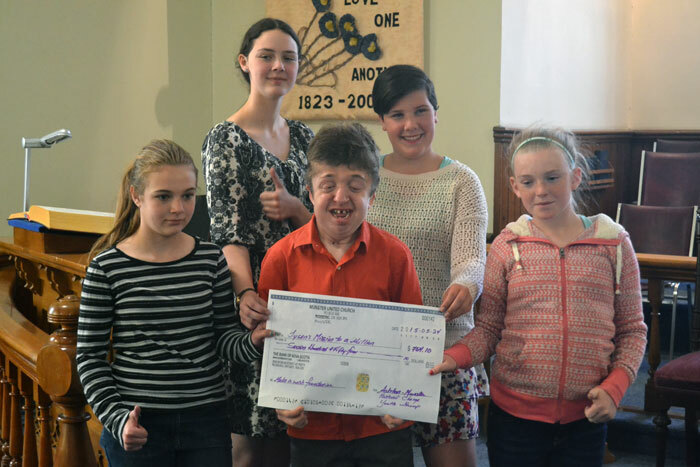 The Pastoral Charge Youth Group led the worship service and during the service they presented Tysen with a cheque toward his cause in the amount of $754.10. The Youth Group had worked at several events to earn money. They painted faces at the Munster Winter Carnival. They baked goods and sold them at the Bake Sale – Barbeque and then moved outdoors to help the church taking money, making change, and providing drinks and chips at the barbeque. Here are a few photos taken by Wayne Tubman of the activities at church. at various of the fund raising activities over the last few months.